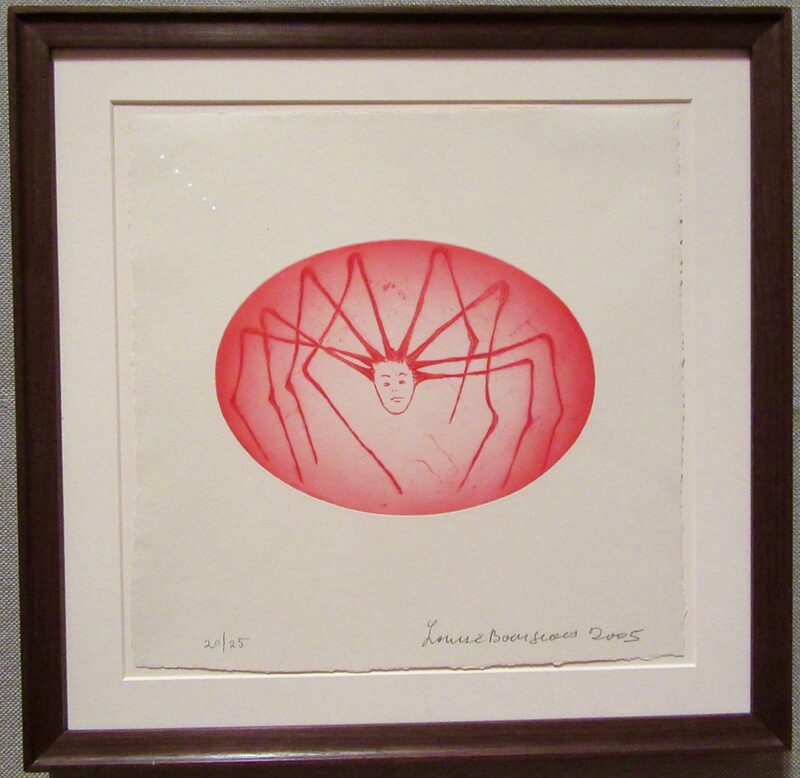 Throughout her long career, Louise Bourgeois (1911 – 2010) treated the motif of spiders across many different media, from drawings and prints to monumental outdoor sculpture. The theme was initially associated with her mother, a tapestry restorer, but grew to take on broader associations as a strong female protector against evil. 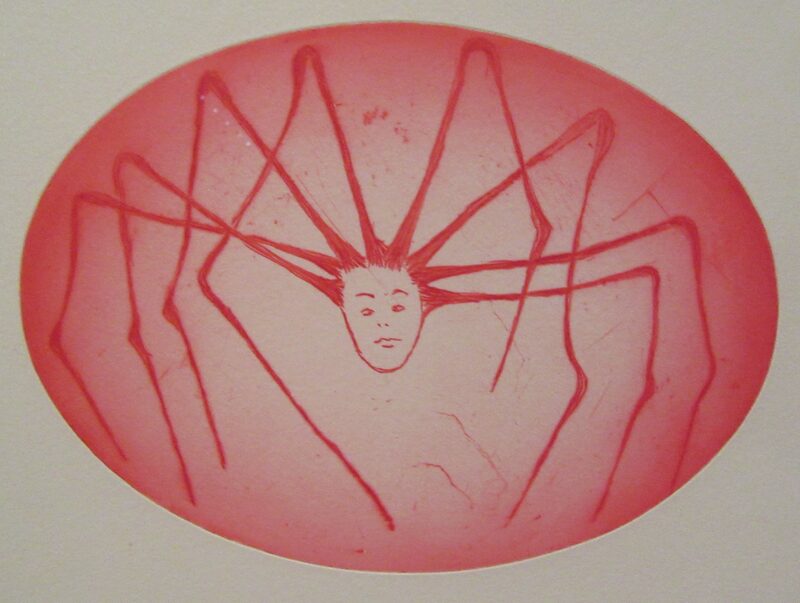 this example, dating from the last decade of the artist’s life, represents a female spider with human face, contained with an eggs-shaped form. The vibrant scarlet ink is color that Bourgeois favored in the late work. 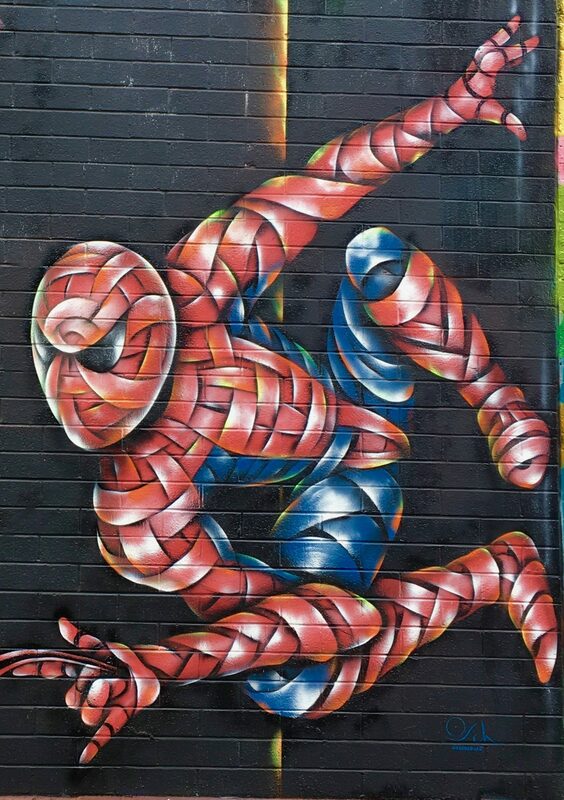 I passed this little guy while walking on Broadway near the Flushing Avenue J Train stop in the Bushwick section Brooklyn. 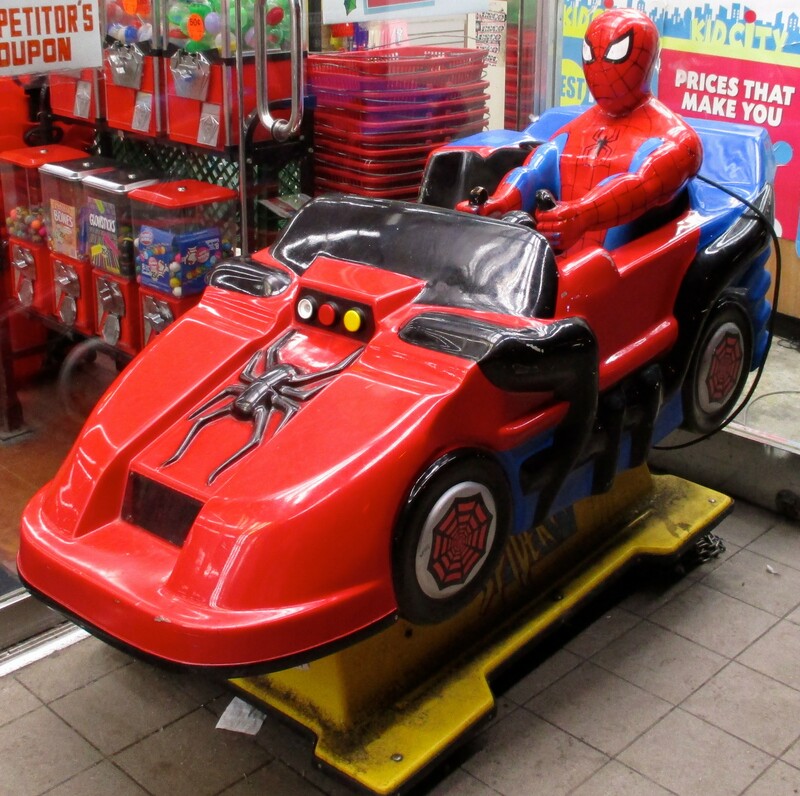 I am not sure how much it costs to ride, but Spiderman gets to ride shotgun. 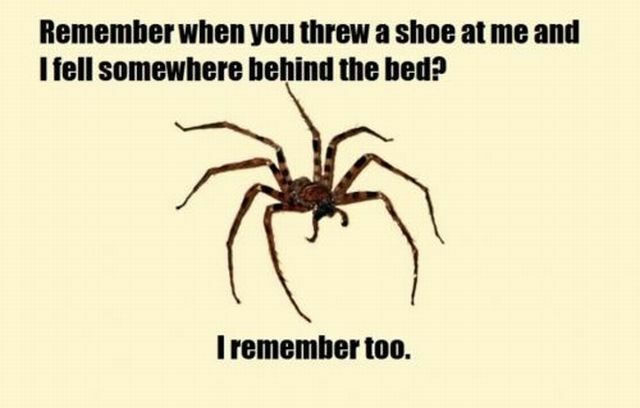 Scary Thing of the Day: Spider Behind the Bed! 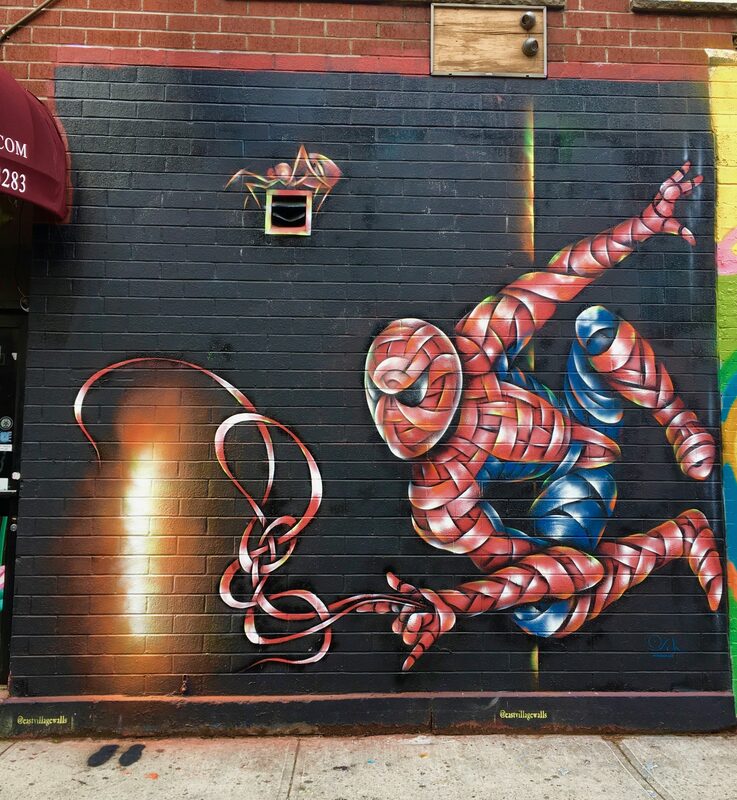 Click the upcoming hyper-link for a hilarious email trail documenting correspondences between a collection agent named Jane and a guy named David who insists on trying to pay an outstanding bill with a picture he drew of a spider. This totally made my day! As a follow up to the story, David’s drawing is now up for auction on eBay!